A $1.5 million grant from the Andrew W. Mellon Foundation is now supporting a new five-year project, Expanding Humanities Impact and Publics, at UC Santa Cruz. The project includes a two-part humanities initiative that is designed to support doctoral student success for students from diverse backgrounds, and to expand the impact of the campus’s public humanities “Questions That Matter” outreach program. 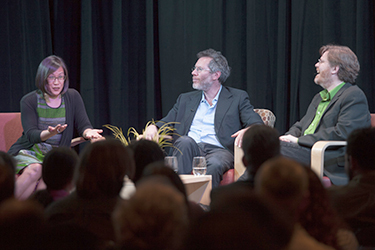 The Institute for Humanities Research (IHR) at UC Santa Cruz has already developed a format for public engagement, presenting humanities-related, cross–disciplinary conversations in its “Questions That Matter” series of themed public events, held in downtown Santa Cruz. Recent events have included “Making the Cosmos Local,” a moderated discussion between a historian of China and an astrophysicist about historical and contemporary scientific conceptions of the cosmos; “Play: Games, Life, and Death,” a conversation between a folklorist and literary scholar and an engineer-game designer; and “Anger in Politics: From the Bard to the Donald,” which included a Shakespeare scholar, a political scientist, and a sociologist. Building on the success of this series, the IHR now plans to develop and launch a series of team-taught “discovery seminar” courses on Questions that Matter, pairing a faculty instructor with a doctoral student instructor. “These courses would be offered through UC Santa Cruz’s residential colleges, which are a signature feature of the campus’s undergraduate living-learning experience and a site of a variety of cross-disciplinary, experimental, and experiential learning opportunities,” noted Irena Polic, managing director of the IHR. 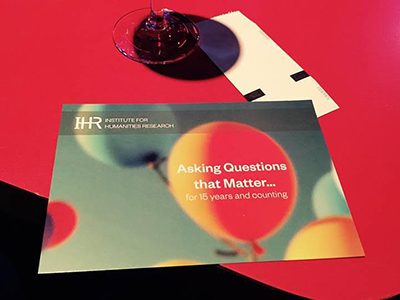 Polic added that another element of the project will be to incorporate the IHR Public Fellows program (a summer-only supported internship for doctoral students in the humanities), into the “Questions That Matter” framework, further extending and increasing its impact. 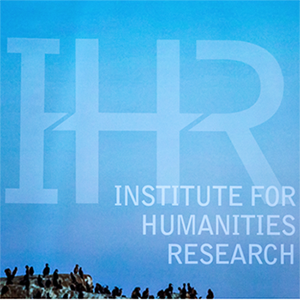 IHR Public Fellowships provide the opportunity for humanities doctoral students to contribute to research, programming, communications and fundraising at non-profit organizations, cultural institutions, or companies--allowing them to apply and expand their skills in a nonacademic setting while engaged in graduate study. IHR Public Fellows have worked in museums, and research centers across California and as far as New Mexico, Alaska, and Norway. Nathaniel Deutsch, professor of history and director of the Institute for Humanities Research, also stressed the significance of the grant in helping to expand humanities graduate programs for student success and greater public outreach. "In an era of big data, artificial intelligence, and the Anthropocene, the humanities are more important than ever,” said Deutsch. “What good is data if we don't know what it means and why it should matter to us? Is there anything about the human mind that cannot be replicated by artificial intelligence? What are the ethical implications of transforming our environment like never before? The humanities provide us with the tools to tackle the biggest questions of our age." 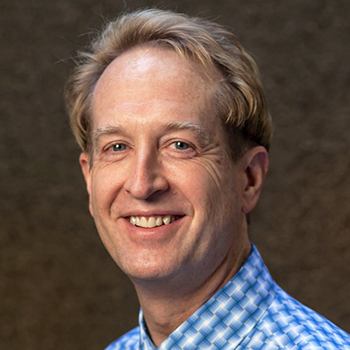 "At the IHR we are committed to bringing the humanities to the broader public and to training Ph.D. students whose unique skills prepare them for a wide variety of careers,” he added. “We now are able to offer more programming to support graduate student success, and to foster diversity in our humanities graduate programs. For all these reasons, the Mellon Foundation grant is a perfect fit for UC Santa Cruz and an incredible opportunity for us to extend our mission."